Since watching my first Star Wars movie - which is the Empire Strikes Back - I have always let it be know that I am a big Star Wars geekzilla. My massive Star Wars collection last addition is a replica of Darth Vader's light saber and a talking Yoda that tells you the story from Episode one to six - not forgetting the action figures that now sits in a drawer that I shall not open. 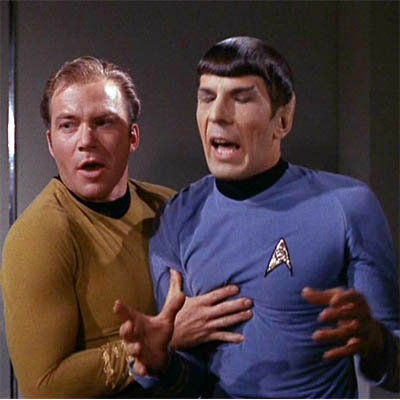 So I have never quite been into Star Trek (sorry M). The closest I ever got to purchasing something Star Trek was this special edition Barbie and Ken Star Trek dolls which I have every intention to mark-up and resale (which I didn't but I should have). 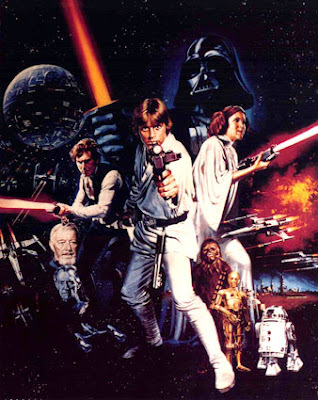 So I have watched 'Fanboys' and remembered, understood and connected with the zillions of Star Wars fans and why there is such a negative force-field against the 'Trekkies'. However, with the new Star Trek movie opening tomorrow. I am actually excited. Perhaps indirectly it is because of Sheldon from 'The Big Bang Theory' or perhaps it is Mr 'Sylar' Quinto as Spock. Or perhaps it is because the last (supposed) great sci-fi franchise (SW Episode 1 to 3) disappointed me so much - and looking forward to the start (or re-start) of another - and deep down hoping that it will disappoint me more so that Episode 1 to 3 seem so much more enjoyable. Silently, I do hope I do not become a 'Trekkie' but who knows until I boldly go where no SW fans have gone before - to the dark side with pointy ears and tights. My City Screams - for Help! More Music Videos from "THE DAYS"